The only reason we are still running cars on gasoline is that the Big Oil companies want to keep raking in money every time we fill up our gas tanks. 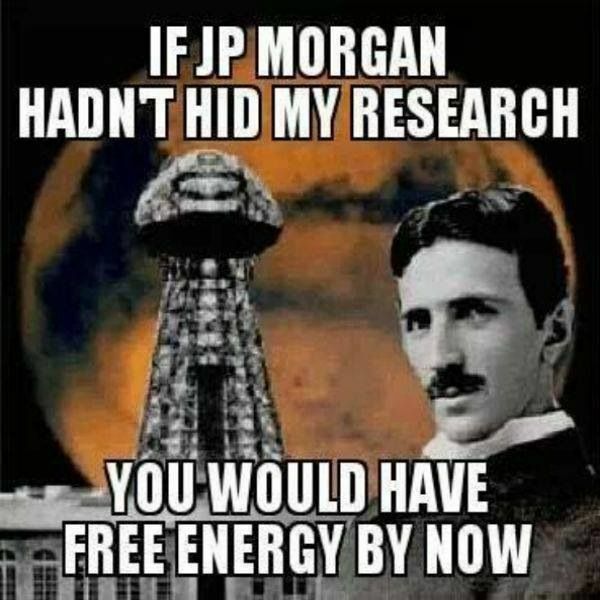 The story goes that when JP Morgan found out that there would not be a meter by which to charge people for the energy they used, he cancelled funding for the project. He clearly explains why Free Energy will not be generally available until people free their minds and end slavery systems which are suppressing Free Energy in order to control people. Hal Putoff, frequently quoted in the documentary, has been identified as a CIA disinformation agent trying to discredit zero point energy inventions. Tracing down the work of these scientists, researchers, and inventors is another key to furthering research in the area of Zero Point Energy or Free Energy. Stanley Meyers withheld key pieces of information from his patent applications because he didn’t want his ideas stolen from him. People all over the world are working to refine reproduction of his invention.